Every website, including a WordPress one, needs hosting provider. Once you decide whom you are going to trust, you will install WordPress and start blogging. As you probably already know, managing a site takes both time and some skill. WordPress can help you a lot with your blog, but when it comes to your server, you will need a different kind of help. And that’s where cPanel comes in to assist you. cPanel is a Linux-based control panel designed specifically for web hosting management. This powerful panel consists of numerous tools which will help you manage your website from a lot of different aspects. It has a user-friendly graphical interface which is quite intuitive and even first-time users won’t have trouble performing specific tasks via cPanel. You can learn more about cPanel on its Wikipedia pages. Since this control panel has become so popular that practically every hosting company uses it, sooner or later you will need to learn how to do some basic thing with it. Instead of going through each and every detail about this enormous panel, we’ll focus on WordPress beginners. To log in to your account, you will have to enter username and password. This will be different from your WordPress credentials; account details are usually emailed to you right after you pay for your hosting. And after you log in, the fun can begin. The first thing you will notice is the homepage which is a home to all the accessible tools. On the left side, you will notice Stats widget where you can find all the basic details about your server. Here, you will be able to see your domain and the location of the home directory, information about the last login, info about your disk usage, mail account and several other statistics which are always good to know. On the right side, you will find all the tools grouped into several categories. These categories can be dragged and dropped in order to rearrange them, and you can find some really useful things for your WordPress site. So, let’s break down the cPanel into those categories. All the tools you will need when working with files will be found in this group. For starters, here you’ll be able to control FTP accounts which you may need for manual WordPress installation. You can easily add new accounts, change passwords, control quotas and do practically everything FTP-wise. When you work on a bigger project, sometimes you will need to monitor FTP Connections and see who is connected to which FTP account. If you follow FirstSiteGuide, you know that we always emphasize how important is to have a secure website. You will want to scan your website on a regular basis and do everything you can to protect your WP site through themes and plugins, but sometimes you will have to analyze FTP access to your site. While you can hide and protect WordPress directories by modifying .htaccess file or installing plugins like WP Hide and Security Enhancer, you can use cPanel to lock any folder you want. Simply open Directory Privacy folder, choose any folder and put a password to it. Cool, isn’t it? In this category, you will also find a simple backup tool which can sometimes be a lifesaver. Just through several clicks, you’ll be able to download the entire content of your server. This means that you can easily download the entire WordPress folder and transfer it to another hosting company or install it locally for further development. If you want to only backup specific files and databases, you will be able to select them instead of downloading the entire site. Of course, the backup tool will also let you restore a backup. When it comes to images, you probably already know that WordPress can be packed with numerous gallery plugins and image tools to help you manage small pictures or the entire photo collections. You can also install some of the best premium themes dedicated to photography, regenerate additional image sizes or change the way WordPress compresses your JPEG images, but sometimes it is just enough to use Images cPanel tool which will help you create thumbnails from all images in a selected folder, scale them or even convert them to a different format. Practically everything in WordPress is using databases. You will need to create one before you can install WordPress (don’t worry; if you’re using an installer like the one we are about to mention below, you won’t have to do that manually), and a database will keep up filling with new tables for every theme and plugin you’re using, for every post and page you publish, for every comment, user, etc. WordPress will ask you to name your database during the installation process, and you will have to choose a database prefix which will be used for all the future table in that particular database. While it might sound benevolent, database name and prefixes can be important factors in your future site’s security, so make sure they are unique. If you already have a WordPress installed, you can still change database prefix. cPanel allows you to manage databases. To be more correct, one of the tools at cPanel’s disposal is phpMyAdmin. This is a free (open source) tool which is used for database management. It will allow you to create, edit and delete databases and their tables, and do so much more. You will be able to directly change things in WordPress through databases. For example, if a plugin used your database to store settings in a table, you will be able to change or reset everything through phpMyAdmin. If you want to reset a WordPress database, you don’t have to do that with a manual query – you can use a free plugin instead. Database category will also let you use MySQL databases and MySQL Databases Wizard which will also help you in managing databases. If another service or application needs to work with MySQL remotely, you’ll be able to set up everything via cPanel. If you have more than one domain which you want to use with your WordPress site, cPanel will have several very important tools which you can work with. By using Addon Domains you will be able to include a new domain that will be stored as a subdomain of your site. If you want a new website without having to purchase a new domain, you can use Subdomains. A simple tool in cPanel will let you quickly create a new subdomain so you can, for example, create a WordPress blog on your business site and simply move it to blog.yoursite.com which will act as a completely new site. You can do the same to host your other websites, and you can use one for a development or a demo site, to name an example. If you have transferred your website from one domain to another one and you wish to keep both of them, you will be interested in the Aliases tool. This simple tool will let you connect two domains so that you access the same site from both of them. For example, if you had your blog accessible from www.yourblog.net and now you have purchased www.yourblog.com one, you can keep both domains linking to your site. If you want to redirect one domain to another, Redirects tool is here to help. Decide if you want a temporary or a permanent redirect, add domain names and you’re done. If you haven’t had much experience with managing websites and web technologies, you were probably wondering how some people had custom email addresses instead of popular ones like Gmail. Once you have your own domain, you will be able to create such email addresses for yourself. cPanel will be much of a help here because you will get to create custom addresses in several simple clicks through the panel. Let’s say that you want to create a new email address for your WordPress blog where people will be able to contact you, and an additional address for each author working on your site. All you have to do is to open the tool from the cPanel and add new accounts. You get to choose the format of email addresses and you need to set passwords. Decide if new email accounts will be unlimited or add maximum quotas to each of the accounts. While this will depend on you, it will also depend on the hosting plan you’ve chosen. The good thing about all this is that cPanel will connect you to a webmail where you can instantly open and check for new emails. As you might have expected, this is only the beginning. 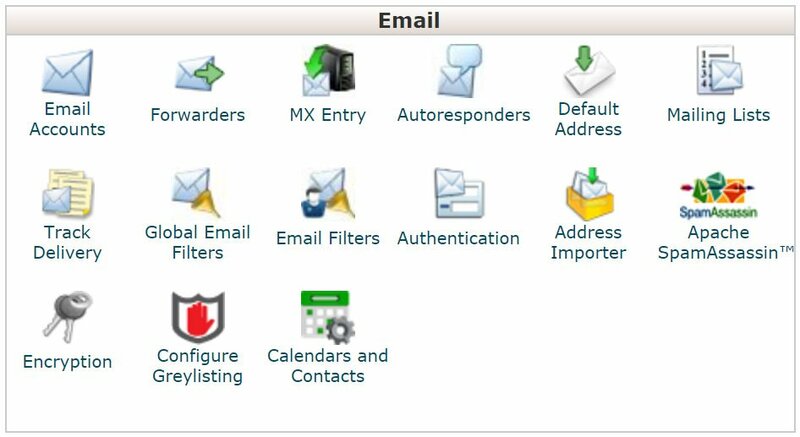 If you need more work around email accounts, cPanel will let you do much more. For example, you can easily set up a forwarding system so that emails from a specific account can be automatically forwarded to another one. If you can’t access your email for some time, like when you’re on your vacation, you will be able to set Automatic Responders through another tool in cPanel. Depending on your hosting, here you will find a Anti-Spam tool which will fight spam even before it gets to your inbox. If you need more flexibility, MX Entry will let you reroute a domain’s incoming mail to a specific server which can act as a backup. Here you create email filters, import contacts, create mailing lists, manage encryptions, and much more. If you want to receive and send emails from your desktop application, you will need to configure it properly. Luckily, you only need to know one detail about your email, and that is the mail server address. In most cases, your mail server will be mail.yourdomain.com, and you will need your full username (username@yourdomain.com) and password. It is a good idea to check My Server Requires Authentication option. If your email doesn’t connect successfully, it is possible that the hosting company changed something so it’s the best to ask them for details or check the email you received after paying for the hosting. Hosting companies are usually thorough so you will have all the important details in the email. Once you start getting first visits to your site, you will have to start analyzing data. For starters, you will want to keep your eye on Bandwidth. 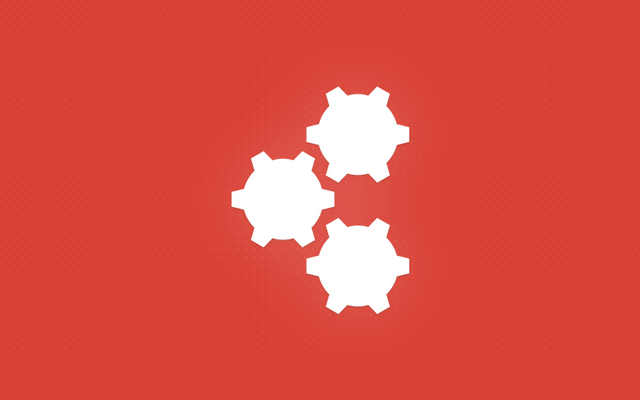 This great tool will show you bandwidth usage of your site. You will get to see graphs and number which represent bandwidth usage which will tell you the data amount being transferred over HTTP, IMAP, POP3, SMTP, and FTP. Depending on your hosting plan, you might have limited resources so it will be important that you know the stats. If you reach the threshold on a limited plan, your website might stop showing up for a new visitor. Once that happens, it probably means it’s time for a hosting upgrade. Visitors function will show you up to 1,000 last visits to your site. Awstats and Webalizer tools will tell you details about visitors by using visual aids, but if you don’t need graphs and a user interface, a Raw Access tool can export information about your visitors in a simple text file. These tools can be a good start for beginners, but if you want to track your visitor in more details, you will want to start using Google Analytics. Since you can have Google Analytics displayed directly on your WordPress dashboard, you won’t have to log in to cPanel just for that. No matter how much you try, there will always be errors on your site. With the Errors tool, you will be able to see the last 300 errors which may include broken links and missing files. While the tool can be quite helpful, you can do much with WordPress plugin. For example, you can check broken links automatically. In the end, you can set up stats programs with Metrics Editor. If you are allowed to do so (depending on your server privileges), you’ll be able to choose which statistics you want to be displayed in the other stats tools. You already know that you must do everything in your power to make your new blog safe. You don’t want malicious software and hackers to get their hand on your site so you will have to take care of it. cPanel will let you manage your Secure Shell keys (SSH). SSH is a cryptographic network protocol for operating network services securely over an unsecured network. You can learn more about it on the Wikipedia pages. Consider hotlinking as content and bandwidth stealing. If you don’t protect your site, everyone on the Internet will be able to steal from your and link directly to your files. That means that everyone can steal your files and in the addition, they’ll be using your bandwidth! For example, someone might steal an image from your site by linking directly to it. This method would show your image on their site by using your bandwidth which you pay for. So, how to stop hotlinking via cPanel? Hotlinking can slow down your site and you can actually lose money if you don’t act on it. ModSecurity is a free Apache module which is used to stop hacker attacks. This module is actually a set of rules; it scans requests that are coming to your site and opposes them to the rules. If a request is valid, the website will work normally. If the request represents a threat to your site, ModSecurity will block it. Depending on the hosting company you are using for your WordPress website, there will different applications waiting for you under the Software category. Among many CMS, forum and e-commerce software you can install, most modern hosting companies will have WordPress on the list. If the provided information was correct, Softacoulus Apps Installer will install WordPress in the specified directory and you will be able to see your new installation on the list. You are done! You can now visit your new website. To get to the dashboard, you will have to log in to your new site by navigating to www.yourdomain.com/wp-login. Here you should enter the admin username and the password you used during the installation process and you can finally start working on your WP site. Preferences are directly connected to your cPanel account. Here you can manage your and other users’ accounts, change the language of your cPanel and modify contact information. If your server doesn’t have an SSL certificate signed by a recognized authority and you’re using Windows Vista, 7 or 8 via clear text/unencrypted connection, you will have to enable Digest Authentication. What Is Evergreen Content and Why Your Blog Needs It? This guide is an introduction to mastering the art of blogging. It provides easy to follow steps to start, maintain, and grow your blog. Excellent Guide. You covered every bit of CPanel. Disclosure: Our website receives compensation from the companies whose products we recommend and because of it, we are able to provide help with setting up your blog. We tested and used most of the web hosting sites and domain registrars recommended here. Do you want to Start a Blog? Don't have time to do it yourself?